Each Vision Studio picks their top male and female winners which then go on to the national head office where they select the overall winner. Luckily there is a prize for both males & females, so I’m only competing against other women! During my session with my trainer Michelle, on Tuesday 11th March, we determined my macro numbers and my exercise numbers based on the goal to lose 21.2kg over the 9 weeks. Marco numbers are a combination of carbs, protein & fats which you have to meet each day. These are all worked out based on your body type, family history and whole lot of other stuff they input into their computer. My numbers are sitting on 117g Carbs, 187g Protein and 47g Fat. Of course I don’t have any issues reaching the Fat numbers and over my time with Vision have worked out how to get to the protein numbers. Over the last month, I had a few weeks of nothing – no weight loss – which, as you can imagine, is very depressing. So I decided to cut out carbs – not all carbs – but no bread, pasta, rice, etc. The only carbs I’m eating are fruit & vegetables (not much fruit – as it’s not my thing). I found that this was better for my body, in terms of energy, clearing of the mind and overall feeling better. Since then I’ve been reading heaps of books, articles, magazine and listening to podcasts on health and nutrition and let me tell you, it’s like seeing the world through new eyes. Our whole food industry is full of sh*t, and sadly people are making decisions based on mass media which of course is funded by the food companies. I’m not sharing this to get into any debate, nor I don’t want to hear anyones opinion of this. I know what works for my body and what I’m happy to eat and of course you need to find that out for yourself based on your own research. If you want to eat carbs, go for it. I just know that my body is better without them, and heck, I’m Italian! If you got my newsletter on Tuesday you would have also seen how on Monday I didn’t want to get out of bed, but I knew if I didn’t, I would be behind for the rest of the week. And let me tell you it’s hard to catch up cardio when you have to do 11 hours. So I made myself get out of bed and just do it. The whole day I was feeling blue, I was grumpy and so I put myself to bed in the afternoon and didn’t talk to anyone but I’m so glad that I got myself out of bed to walk. I think I’m getting better at identifying when I’m a little down and I’m making improvements on how to deal with it. Each day, up until Friday, I had been really good at writing down my goals. Of course I purchased a new Kikki K notebook so they look flash. Each day I would spend a few minutes re-writing my goals, a daily gratitude list and any other thoughts which came to mind. I’m not sure if this will work but I’ve heard and read online that writing your goals and focusing on gratitude are good for all things, so why not! At the launch party to the 9 week challenge Jeff mentioned some odd but scientifically based additional extra to help you lose the most weight. In this category I included starting each meal with a black coffee, 20 deep squats after each meal and 30 mins of ice packs each night. Over the week I’ve been pretty good with ice packs most nights, squats haven’t been very good – I think this lasted a few days (mainly because I forget) and breakfast always starts with a black coffee. Hey, I’m not 100% perfect but it’s working for me. 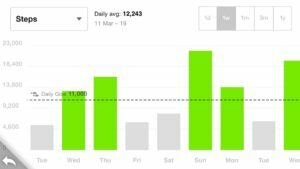 The final thing I’m doing is tracking my daily steps using a FitBit Flex. It’s like a bracelet which you wear on your wrist. It syncs with my phone and tracks how many steps I’m taking each day. Over the week I averaged 10,707 each day with four days of 12,945; 16,088; 21,830 & 13,798. It’s become a bit of a game to see how many steps I can take it each day. So if you got this far you are probably wondering how much weight I lost in the first week. Tuesday morning I got up and didn’t eat or drink a thing. I probably went to the toilet a hundred times but when I stepped on the scales it was totally worth it. Overall the week hadn’t been overly hard, I didn’t feel like I was going without. I was totally shocked when the scales revealed that I had lost – 2.7kg!!! 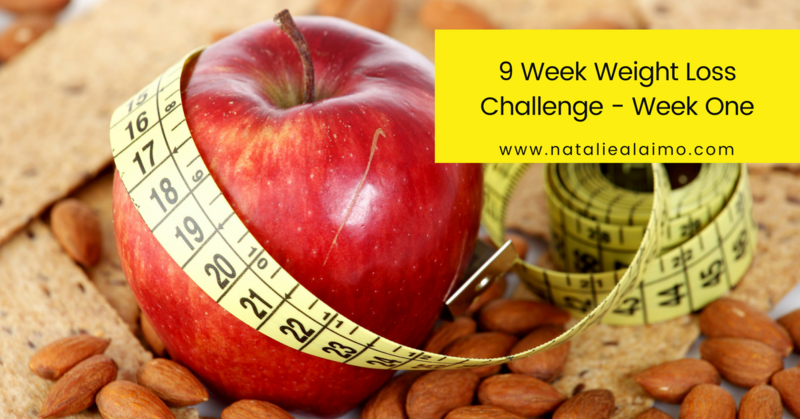 My goal is to average 2.35kg each week and I did! I was so happy & proud of myself. I wonder what week two has in store for me.